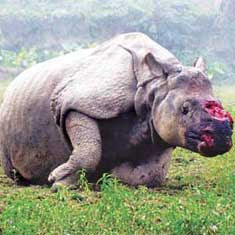 I'm Curious Too: The Rhino's Horn (Plight): Let's Inject It with Poison! The Rhino's Horn (Plight): Let's Inject It with Poison! The population of rhino is in peril. 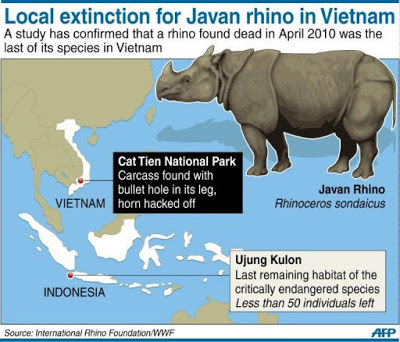 The last one-horned Javan rhino in Vietnam was killed by poachers in 2010, effectively marking the end of a unique subspecies of Javan rhino. That leaves us with the last subspecies of Javan rhino Rhinoceros sondaicus sondaicus in Indonesia. But the last census (2008) noted that fewer than 50 of the Indonesian subspecies exist in the wild. 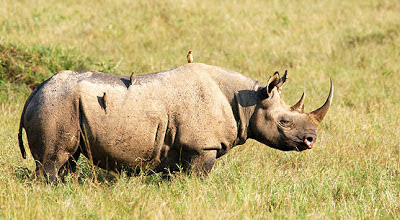 Elsewhere, rhinos don't fare so well neither. There are less than 250 adult Sumatran rhinos left in the world. 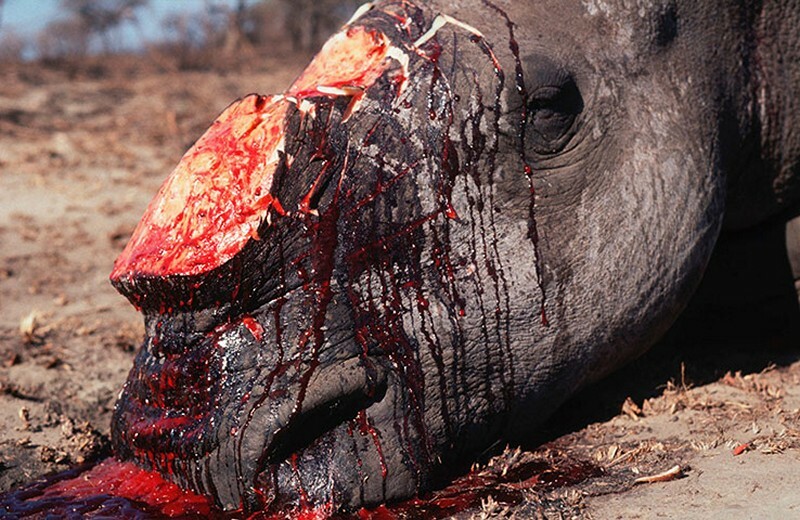 In 2012, over 455 African rhinos were killed by poachers. The primary cause that compels the continual poaching of rhinos is the demand for rhino horns in the black market. Rhino horns, despite its similarity to human nails, are still highly valued in traditional Chinese medicine. According to the National Geographic Magazine, an eight-pound rhino horn can reap up to $360,000 in the black market, a price deemed irresistible to many poor African poachers. So something must be done before poachers wipe out the 45 million-year-old species entirely. But how? 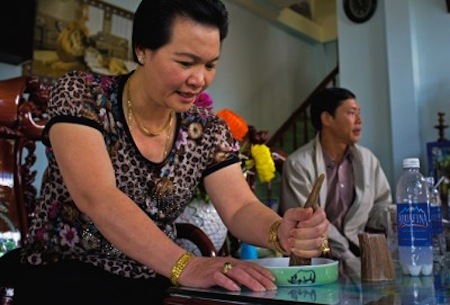 The rise of China now brings more wealthy Chinese who see rhino horns as a symbol of status. When you have 1.3-billion rhino horn fanatics with ever increasing purchasing power, the rhinos don't stand a chance. Fortunately, conservationists in South Africa have come up with a new way to save rhinos: poison the horns. "a dye which turns the horn brightly and irrevocably pink, kind of like the dye used in ink packs to secure money at a bank. That makes it useless as a prize or ornament, and even if the horn is ground to a fine powder, it'll still show up in an airport security scanner. Three separate GPS chips are implanted into the horn, kind of like this older project--it's worth mentioning here that a rhino's horn is made of keratin, just like your fingernails, and the animal feels no pain during any of this. And the dye has no adverse health effects on the rhino." The conservationists will seek to improve their implementation by adding in poison in the future. The best thing is that the poison is safe for the rhino as well as any animals in the rhino's ecosystem, but very toxic for humans, effectively making it unusable as both medicine (toxic) and as decorative element (pink).